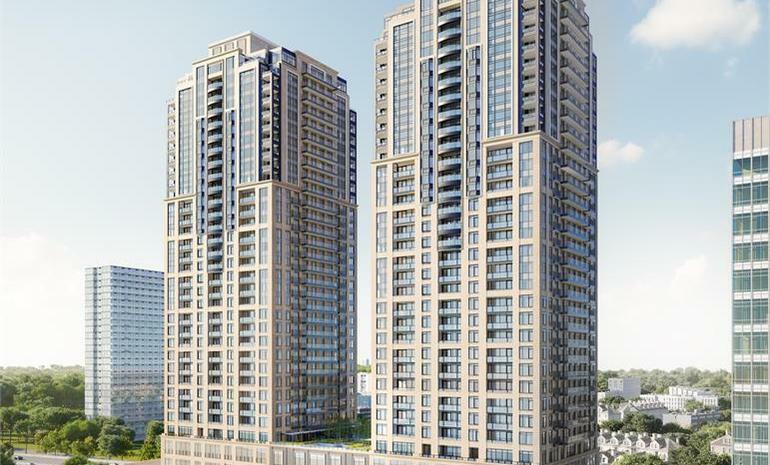 The project has been conceptualized and developed by Diamante Development Corporation and is located at Lake Shore Boulevard West in Toronto, one of the most sophisticated regions of the city. The project has two towers of luxury condos and they offer a wonderful view of the city. The project has already started accepting pre- bookings and the reception has been phenomenal with about 70% of the property already sold out. 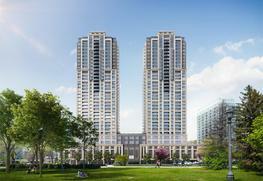 The project would have two towers and there are a total of 748 units spread across 38 storey. 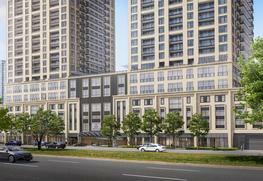 The sizes of the condos range from 457 sq feet to 1510 sq feet. There are studio apartments, 1 BHK, 2 BHK and 3 BHK units to choose from and the pre sales bookings have started from $ 300, 000 but it also includes the parking price. Additional storage space can be bought for $ 5000. The project is expected to attain completion in 2021. There are a number of facilities that can be enjoyed by the residents living here. The project has a party room with kitchen and guest suites that will make anyone coming over to stay a real joy. There is a special interactive unit for children to play. The project is pet friendly and has a separate dog wash area. There is an indoor pool and yoga studio and there is an outdoor terrace as well for ultimate relaxation. The Business Center and the Library is extremely well done up makes meetings and assignments a pleasurable task. There are above level parking facilities discreetly enclosed inside the walls. 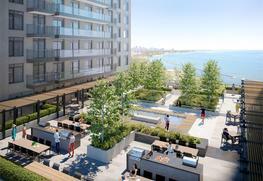 The project is one of the prime waterfront properties and that is what makes it so special. It offers an expansive and breathtaking view of Lake Ontario and there are number of parks located on either side which provides soothing greenery like the Sir Casimir Gzowski and Sunnyside Park to the south, as well as the High Park to the North. The urban street in front of the property is connected to every major street in downtown Toronto and all kinds of public transport can be availed at ease. Diamante is one of the top names in real estate in Toronto and it has made a name for itself for specializing in waterfront properties. All their projects are extremely grand and they only believe in giving the buyers the very best. They have always built luxurious living spaces and they have a knack of choosing the best locations around the city that provide scenic beauty as well as material comfort to those staying there. It is a three time winner of the Grand Sam Award. The project has well appointed guest suites that can be used as required. The project is pet friendly and has a dog wash area. There is a Library and a Business Center inside the premises. 52 Pick-Up Inc. and Foxx Advertising & Design Inc.